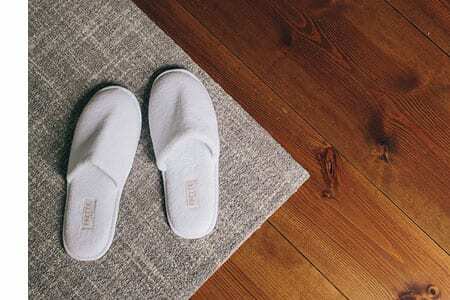 Located in the heart of New Hampshire’s Lakes Region, where Lake Winnipesaukee meets the mountains, is a ten-room luxury retreat that is sure to become a New England hot spot. 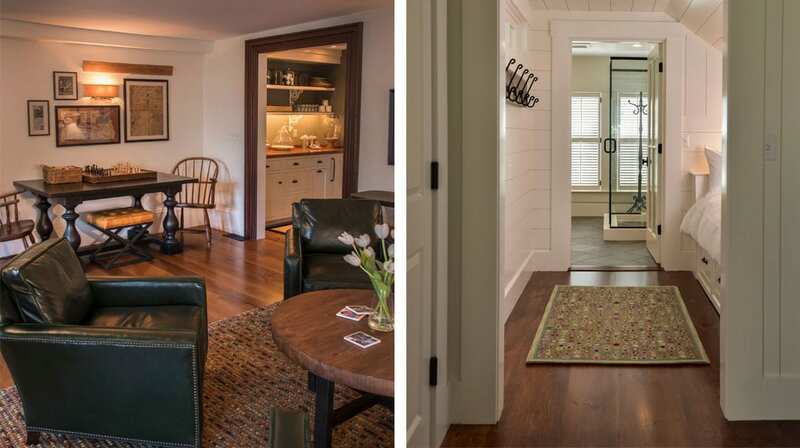 Less than two hours from Boston and just minutes to downtown Wolfeboro’s artisan shops and seasonal eateries, Pickering House Inn is a well-designed blend of rustic chic and modern elegance. The early 19th-century Pickering homestead began as a Federal style tavern before Daniel Pickering bought the building and turned it into his private home. Around 1843, he enlarged the home and remodeled the entire building in the Greek Revival style. The Pickering House served as a local historic landmark for generations, but over time it slowly fell into disrepair. The bank foreclosed on the property late in 2014 and its future looked dim. In 2015, the New Hampshire Preservation Alliance named it to their annual Seven to Save List of properties in desperate need of rescue. By 2016, developers were interested in buying the property and demolishing it to make way for generic commercial development. Wolfeboro residents Peter and Patty Cooke had other ideas. The Cooke’s had been coming to New Hampshire’s Lakes Region since childhood and brought their children to Wolfeboro before permanently relocating there in 2010. They felt strongly about preserving the sense of community and unique character of the lakeside town. When it looked likely Pickering House would be demolished, they decided to buy it to save the landmark property and preserve the small town ambiance of Wolfeboro’s downtown area. The Cookes invested more than two years planning the next chapter for Pickering House as a distinctive inn. Patty drew upon her expertise as founder of Wentworth Style, a home renovation design firm, to create a design that retained the structure’s original architecture while adding modern features like radiant heat floors in the bathrooms, high-tech showers, and motorized blinds. She repurposed many original features. 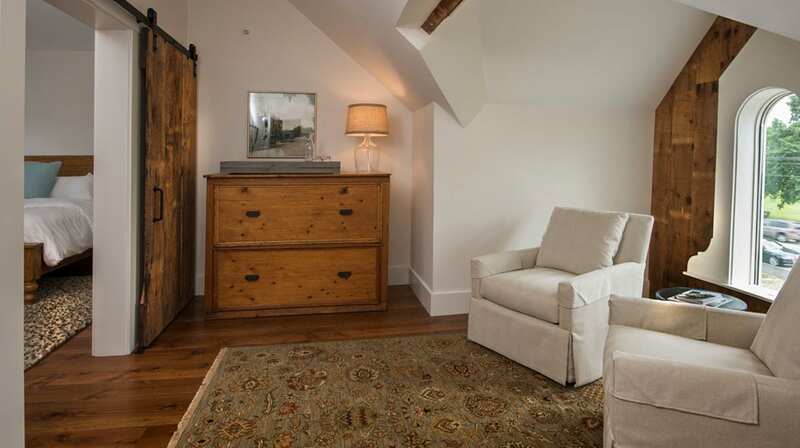 For example, a stairway was lined with doors that were salvaged during the renovation, and additional doors formed a headboard in one of the guest rooms. 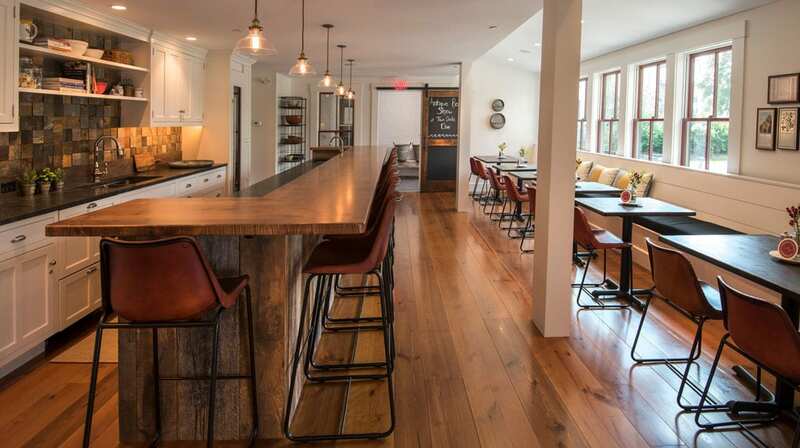 When a maple tree needed to be removed, the wood was transformed into a bar in Pickering’s Kitchen, the Inn’s primary gathering space, and a lovely table in the Meeting Room. 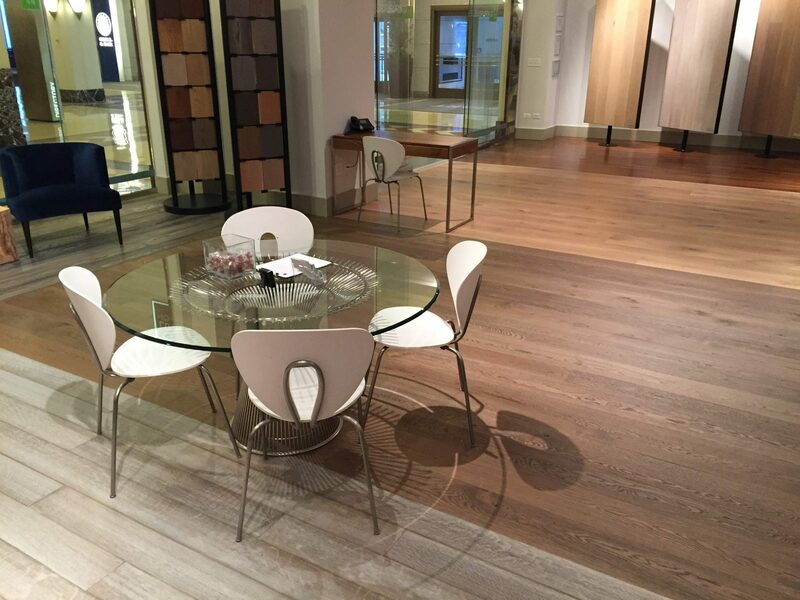 When it came time to select the floors for the inn, no species was more appropriate than Heart Pine, a true American classic. The couple opted for 7-11” wide, prefinished Heart Pine floors from Carlisle Wide Plank Floors. This species in particular is known for its rich coloring and unique place in history, from plantation homes to industrial factories. The warm color tones paired with rustic knots and character created depth and vibrancy that brought the rooms to life. The end result was a floor that replicated wide planks that could have been found in the original tavern.